How do you become stigma free? Just follow these steps. Everyone knows a little about mental health issues but knowing the facts about mental illness can help you educate others and reject stigmatizing stereotypes. They are not the result of personal weakness, lack of character or poor upbringing. Understanding mental health isn’t only about being able to identify symptoms and having a name for these conditions but dispelling many false ideas about mental health conditions as well. Our mental health care systems have been in crisis for far too long and often keep treatment and recovery out of the hands of many who need it. We can take action now as we push for better legislation and policies to improve lives for everyone. By lending your support you can show that this cause important to you and desperately needed for millions of Americans. I live with a child who suffers with this disease for most of her life. We still have such a long way to go in understanding, diagnosing, treating and accepting this disease and the other problems that go along with it like addictions and other self harming activities. We also need to better equip the caregivers and families of those who suffer. Their daily lives can be just as painful and frustrating at times. Learning to see the person and not the illness is not always easy. There are days I really do not like my child. I will never stop loving her but try hugging a porcupine and see how you feel afterwards. My goal this coming month is to focus on what I have learned and continue to learn. I hope something here will help you too! And please be #stigmafree with me! 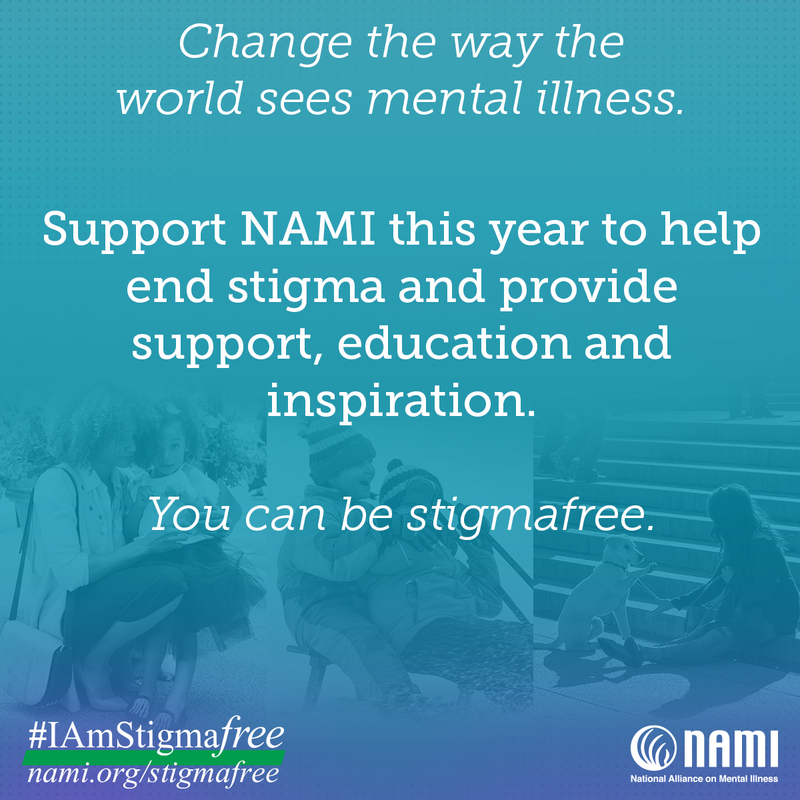 This entry was posted in Inspiration, Motivation and tagged mental illness, NAMI, stigmafree. Bookmark the permalink.